Johnny Marr was brilliant and the light show was awesome at times. We have seen him 3 times now and the Forum has been the best inside venue to date. The seating at the venue was comfortable with a good view of the stage - we sat in Row G in the circle. We thought the Art Deco style decoration of the theatre was very attractive, pleasing to the eye! Lots of people were queueing for the doors to open, which they did at the appropriate time, but as it started to rain heavily we had to wait out in the rain which was a bit of a shame. However this did not spoil our enjoyment of the evening. Excellent night! Good venue and the tickets came in plenty of time! "Fantastic performance by Johnny Marr in amazing atmosphere"
"A great nightr of music"
It was our first time at the LCR, it's a good venue, small but it creates a good atmosphere and doesn't matter where you stand you can still see the performers. The sound was crystal clear and the lighting for Johnny Marr was excellent. Overall, a superb night out and we will certainly return to the LCR. Long live Johnny Marr. Johnny Marr achieved fame as the guitarist who crafted the sound of The Smiths, leading to the indie revolution which they sparked in the 80’s and which continues to reverberate around the world in the subsequent decades. True fans are will all be very eager to get their hands on Johnny Marr tickets, but as the word spreads the demand grows so book yours before they all go. Gigantic makes placing your gig tickets order easy by enabling access to our site 24/7 meaning you can have a relaxed experience whilst at home or even out and about using your smartphone, tablet or computer. We are very excited to be able to offer you Johnny Marr tickets so make sure you get yours before they all go. Gig ticket orders can be placed 24/7 using a smartphone, tablet or computer. With tickets coming on sale at 09:00 on Friday 1st of June, we advise you to set a personal reminder to alert you with a text message or an email when they become available. “'Call The Comet' is my own magic realism. It’s set in the not-too-distant future and is mostly concerned with the idea of an alternative society. The characters in the songs are searching for a new idealism, although there are some personal songs in there too. It’s something that people like me can relate to." 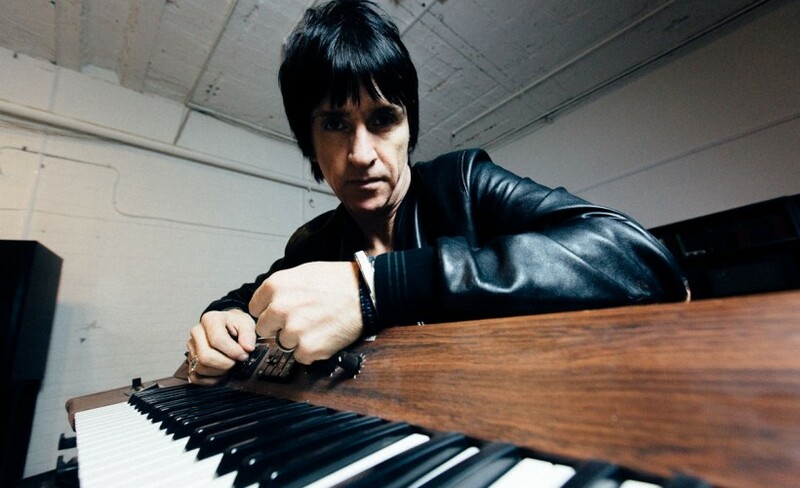 Again, please ensure that you place your order as soon as possible because there are only limited amounts of Johnny Marr concert tickets being made available and with everyone interested, they will not last long!